WORKS and Transport Minister Rohan Sinanan offered few details yesterday on Tuesday’s fire aboard the Trini Flash water taxi, which left over 50 passengers trapped and panicking aboard the vessel. However, he sought to assure the public that the incident would not hinder trips from Port of Spain to San Fernando and vice versa, as there were other water taxis up to service the route. Sinanan said a full investigation has been launched into the blaze, so he would be unable to provide much detail until the findings of the report became available. But he expressed relief that no passengers were injured. “The National Infrastructure Development Company (NIDCO) and the Port Authority of TT (PATT) will be doing a report which they will submit to the Ministry of Works shortly, so until we get that report, there isn’t much that we can say, until a full investigation is done. “In the meantime there are several water taxis so this will not affect that. Newsday understands that the Trini Flash is currently at Staubles Bay, Chaguaramas. Chairman of the Tobago Chamber of Commerce Claude Benoit declined to comment saying he needs all of the facts first especially as there were conflicting reports of what caused the incident. 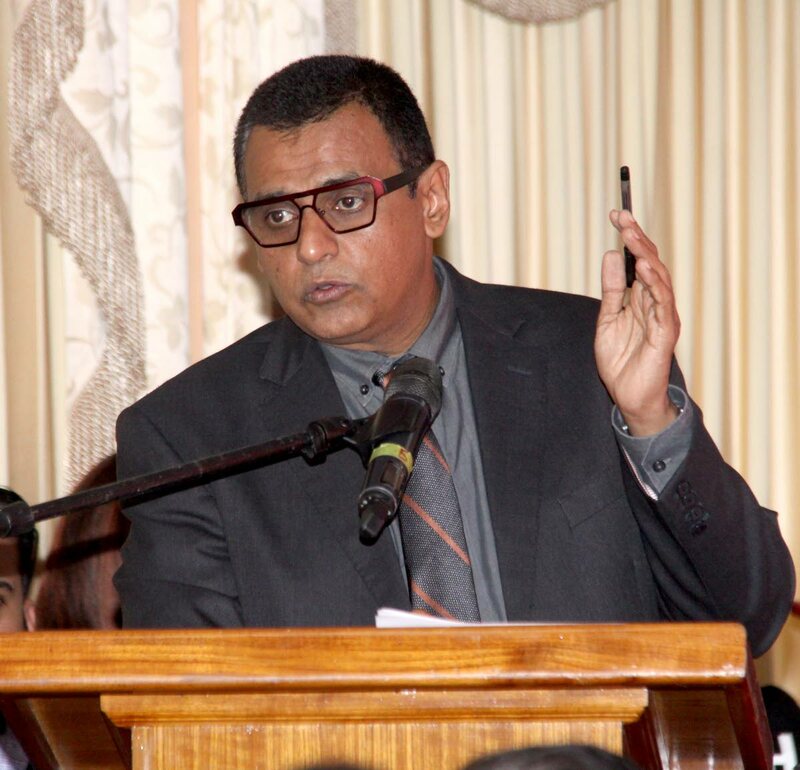 Chairman of the Inter-Island Transport Committee of the Tobago Chamber, Dianne Hadad, said she did not believe the commissioning of the Trini Flash as a ferry between Trinidad and Tobago was the correct decision by Sinanan and invited government to engage the Chamber in more consultation. In a press release yesterday, the Movement for Social Justice criticised government for its inability to treat with the issues on the seabridge in a more timely manner, calling Tuesday’s fire “an abomination,” and criticised attempts to provide transport to ticket-holders using flights, calling both alternatives both costly and dangerous. Works and Transport Minister Rohan Sinanan offered few details into Tuesday's fire aboard the Trini Flash, water taxi, which left over 50 passengers trapped aboard the vessel. However he sought to assure public that the incident would not hinder trips from Port of Spain to San Fernando and vice versa, as there were other water taxis up to the task. Speaking with Newsday today, Sinanan said a full investigation has been launched into the blaze and was unable to provide much details until the findings of the report became available, but expressed relief that no passengers were injured during the incident. "The National Infrastructure Development Company (NIDCO) and the Port Authority of TT will be doing a report which they will submit to the Ministry of Works shortly, so until we get that report there isn't much that we can say until a full investigation is done. In the meantime there are several water taxis so this will not affect that. This vessel was taken out and assigned to the port and it is unfortunate that this has happened." Reply to "Water taxi fire won’t affect trips to South"